1) Get on the website here in the ‘software and drivers’ section and download and unzip the ‘USB Drivers’ file. Remember where you put it. 2) Plug the Ostrich into the USB port of your PC, and point the operating system to the previously located USB Driver directory and install the drivers. See the USB Driver Installation Guides here on www.moates.net for further guidance in this regard. 3) Go into the drivers and set the COM port of the USB to Serial Converter (under Ports in the Device Manager of the Windows Control Panel). Set it to COM3 or COM4. Override any warnings against ‘port in use’ or any of that nonsense. Again, refer to the USB install guides for more info. 4) While in the port settings, set the latency to ‘1’ (default=16). This will speed it up dramatically. 5) Use TunerPro RT or a similar program to upload a binary to the Ostrich, and verify that it is uploaded correctly. 6) Hook it up to the vehicle, and go to town. 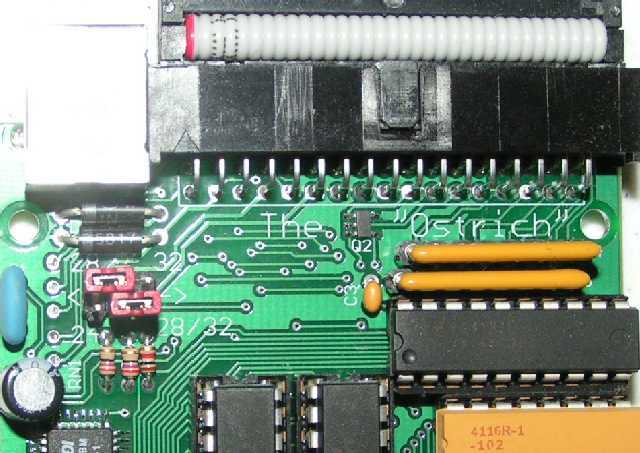 When installing the ribbon cable where the chip normally goes, orient the red stripe so that it faces where the chip notch or arrow (pin #1) would normally face. Note: If you have the car off, and the Ostrich is hooked up to the car’s ECU, then sometimes an upload/verify won’t work right. Just turn the car on, or disconnect the Ostrich during the initial upload, and everything should be fine. 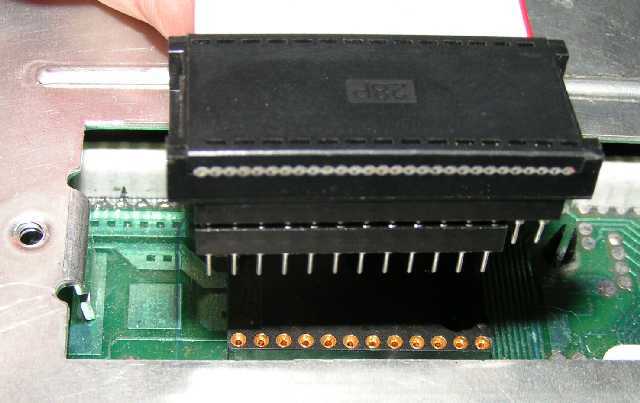 There are jumpers inside the Ostrich, depending on how many pins / memory size you are emulating to. 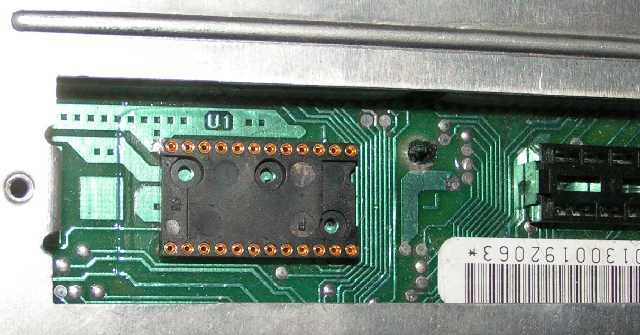 The following pictures illustrate three different ones: 24, 28, and 32-pin. 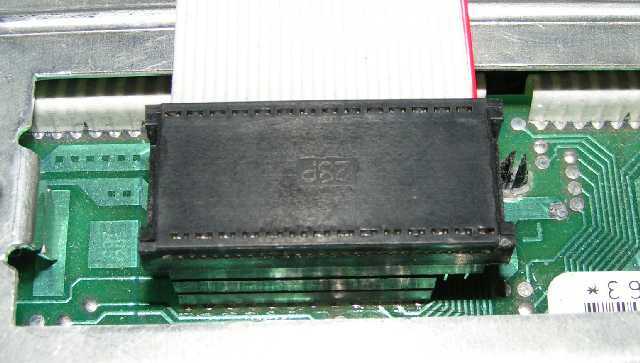 The 32-pin is only used for Ford EEC-V applications right now. Check out the jumper settings. Note that this is the configuration that the Ostrich is shipped with, and works for the majority of the applications.